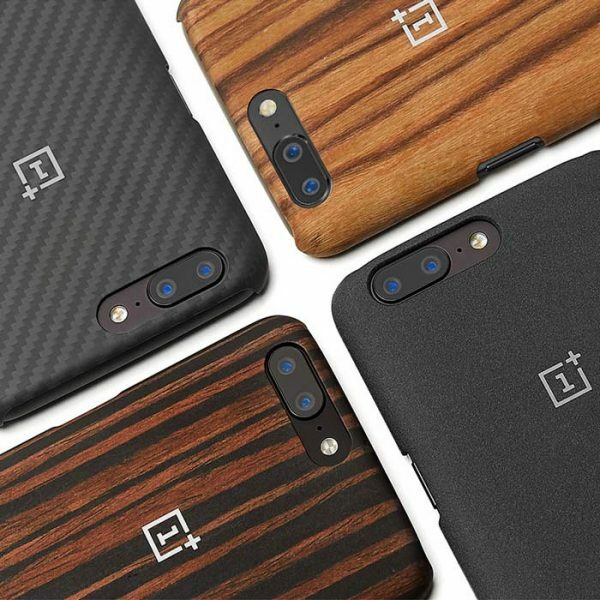 OnePlus 5 Case – carbon, sandstone, ebony and rosewood. OnePlus 5 Case – Our gorgeous and classy cases shield your OnePlus 5 without adding much thickness or bulk. Cases are feather lite and feels perfect in any hand. Each case has been custom-engineered to hug every curve, adding protection without getting in your way. Such is the the excitement that we just can’t wait a second longer to order the OnePlus 5 and put one of these covers on! If you are reading this, chances are you’ve either already ordered one or you are seriously considering the $479 flagship killer. In either case, picking a case for extra protection of the phone’s exquisite metal body sure sounds like a nice idea. All the four cases have different thickness as per the material and overall look n feel varies like the price. The Sandstone and Carbon has soft case versions too. The texture of the finish on the individual cases does differ to some degree, but the makers have opted for a toned-down slim approach. The wood options have just a slight texture feel and the Carbon is almost entirely smooth. The rosewood effect is so convincing even up close and feels like you are holding a real rosewood piece – and you wouldn’t mind as you get more durability and a uniform finish. When it comes to choosing a favorite, it’s all about personal taste, but going around the sales, we see that the Sandstone and Carbon options are absolute favorites. The dark wood Ebony and Rosewood definitely blend in better and are more gorgeous in approach. All the textures feel real, perfect and has a FEEL GOOD form factor. Note: Soft Cases are not oneplus brand. By default a low price soft case is selected. To order oneplus original case, chose hard shell option before making payment.